Randomly, I get a call from Rich Guy. He had his brother on the line and he wanted to speak with me. Strange, I don't get many calls from his brother, who by the way will be referred to as Richer Guy. Yah, he's got even more money than Rich Guy. Dude has got a Ferrari! Apparently, Richer Guy had visited this new gelato place located in the Fairmont Pacific Rim. Completely at random, he had stumbled upon it and scored some samples. He got so excited by the quality of the gelato, he just had to tell me about it. It so happened to be that we were dining nearby tonight. Thus, we headed down to meet Richer Guy across the street. This happened to be the last testing day before their actual grand opening on June 25th. I was introduced to the owner, James, who attended the Italian Culinary Institute and advanced masterstraining at Carpigiani's Gelato University. This guy is serious about gelato! In fact, he is the first in North America to employ commercial gelato equipment which is used in Italy. 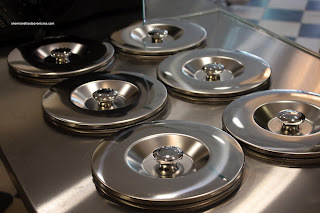 The impressive equipment help keep the gelato rich by limiting the amount of air. Furthermore, every ingredient is fresh. Nothing is preprocessed or prepack aged. The result? The best damn freakin' gelato I've ever had. Since he was giving out free samples to random visitors, I tried almost all of them. The Gewürztraminer Sorbetto really impressed my palate. Sweetened just enough, it felt like I was eating wine. That was also evident when I was trying out the Chocolate Fondent. It was like eating pure chocolate. The flavours are intense, the texture is smooth and the quality is obvious. The store display is quite confusing to most people since you don't actually see the gelato. The reas on for this is that if the gelato is exposed, it is compromised. 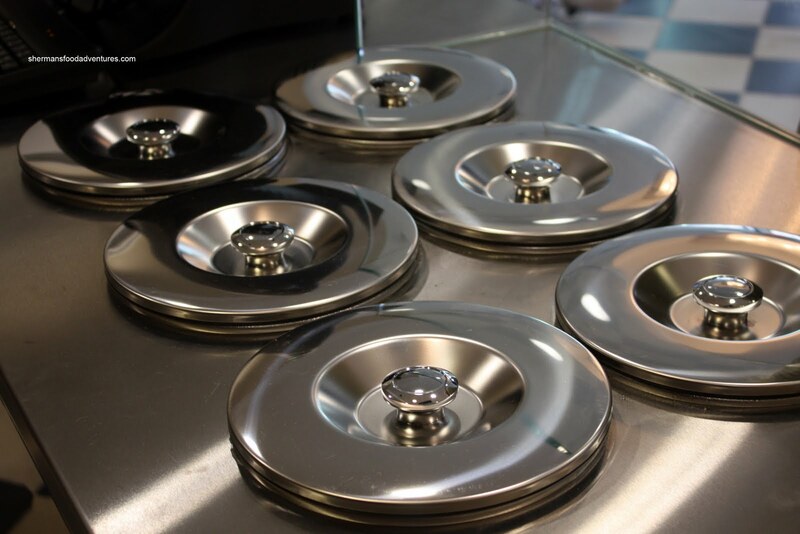 So, everything is hidden under lids until it is time to scoop. There are 3 sizes - small ($4.95), medium ($5.95) and large ($6.95). 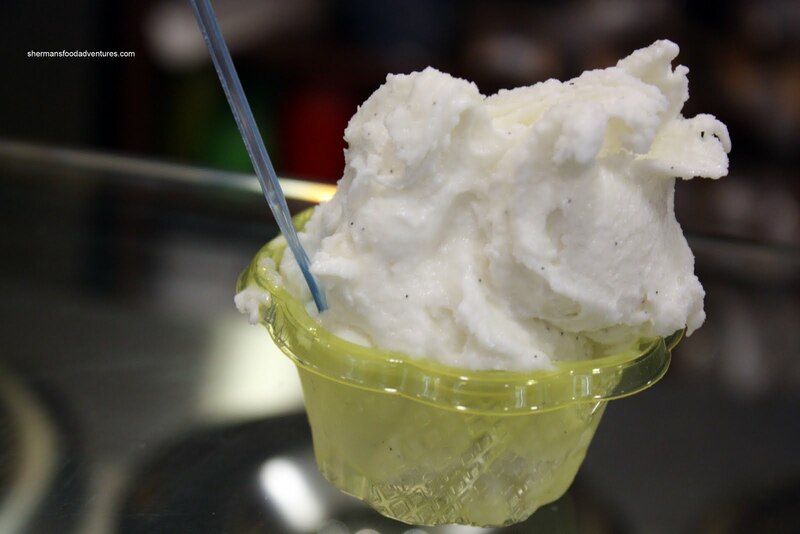 Considering the care put into the creation of the gelato and sorbetto, the quality ingredients and the prime Downtown location, I find the prices to be extremely reasonable. In fact, these prices are comparable with popular places such as La Casa Gelato and Amato. 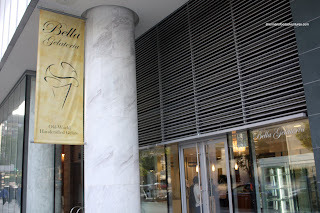 However, they are not even remotely close to what Bella Gelateria can produce, in my opinion. It is not often I get blown away by anything, especially desserts (since I'm not a dessert person). 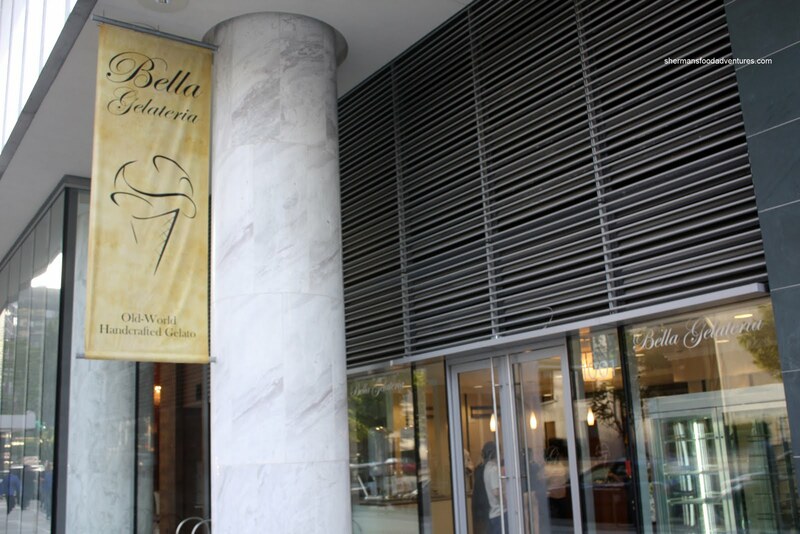 But at this moment, the best gelato in town has got to be Bella Gelateria hands down. OMG!!! I have to check that out!! Hmm, I never knew that gelato shouldn't be exposed to too much air. Interesting fact, and I'll have to try it! Donna, I think the exact explanation is that you don't want to fold too much air into the gelato, otherwise you get commercial ice cream. Then, exposure to light, air, moisture etc.. degrades the final product, so that's why it's covered. Hey Sherman. For sure! Next week? I'll text you or give you a call. You must be kidding. I went there on 26th and it was not open yet. Post the correct info when you go public please. Dolce Gelato in White Rock across from the pier. Amazing gelato.... freshly made by wonderful Italian couple. 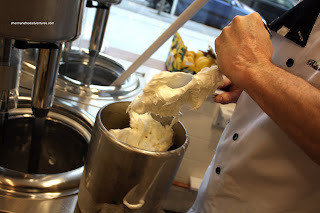 They painstakingly made us fresh Mangosteen gelato last week which was just simply incredible. If you have a chance you should check them out sometime if you are in White Rock. Hi Anonymous, I'm sorry that you didn't catch them when they were open. But... The opening date was from the owner's mouth. So... I'm only reporting what I hear from the actual owner. Thanks, I'll check it out sometime! Hi Anonymous again! According to their operating times, they are closed on Mondays! You just went on the wrong day! Go tomorrow! Hello Sherman, I went there on 26th, it was Saturday(daytime). And it was still under construction, looking far from opening. I am sad to hear that you got the wrong info from the owner. No...I went there before I read your blog. Actually I was excited to see the store coming soon(according to you it has already been open), try to find out the opening date and found your blog. Anyways, I went there today following your advice and got to see it open LOL and tried vanilla, Dolce de Leche and chocolate 67%. Chocolate was amazing. Probably the best one I have ever had. But vanilla was so weak in flavour, not so smooth, I think I had way better vanilla gelato before. As for Dolce de Leche, it is absolutely tasteless, it is just like frozen milk. quite disappointing. I will stick to chocolate flavour variation from now on, it's just amazing. Thank you, I wouldn't have tried chocolate if I didn't read your blog! I really appreciate it. Overall, my favorite is still Yaletown Gelato. Oh good. I felt bad that you went there and it was closed. I would've been disappointed too. Yah, food is a funny thing, very personal. At least we agree on the chocolate! But thanks for the suggestion, I'll definitely try it out. Methinks fellow Anonymous commenter has missed the point, ie. 1. Why would you post a review of Dolce Gelator in White Rock on a review site for Bella Gelateria???? Too many anonymous comments. Im having a headache trying to figure out which anonymous poster said what. Its just as easy to put your first name or even a pseudonym in your comment. Oh well..
CL, I agree with you. And have you noticed... all the negative comments ALWAYS comes from Anonymous people!